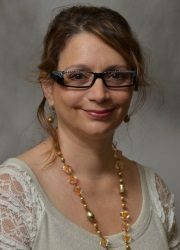 Dr. Angela Panoskaltsis-Mortari is Professor and Vice Chair of Research in the Department of Pediatrics, Division of Blood & Marrow Transplantation, and Professor of Medicine, Division of Pulmonary, Allergy, Critical Care and Sleep at the University of Minnesota. She was originally trained as an Immunologist (UWO, Canada) with post-doctoral training in Pathology (UAB) and is board-certified in Medical Lab Immunology. She has 25 years experience in animal models of stem cell transplant, pre-clinical evaluation of interventional treatment strategies for lung injury, mesenchymal stem/stromal cell therapy and the biology of graft-vs-host disease (GVHD) after bone marrow transplant. Her work has evolved into the bioengineering field, and she is considered as one of the pioneers and thought leaders in the field of lung bioengineering. Her lab was the first to present and publish a decellularized lung bioreactor system, and has also automated human organ decellularization. Dr. Panoskaltsis-Mortari’s research has expanded to include bioprinting, and she recently established, and directs, the 3D Bioprinting Facility at the University of Minnesota. She is a member of the Stem Cell Institute, the Institute for Engineering in Medicine, the Lillehei Heart Institute, the University of Minnesota Cancer Center, and the Center for Immunology. She is funded by the NIH and has mentored many post-docs, MD trainees, graduate students and undergrads in the Stem Cell Biology, Physiology and Biomedical Engineering training programs. Her ultimate goal is to realize the potential of regenerative medicine by converging the fields of stem cell biology, mechanical & biomedical engineering, biomaterials, physiology and surgery to bioengineer autologous tissues/organs for transplant using a patient’s own cells that would not be rejected by their immune system.